With all the announcements swirling around regarding VR (and phones in particular) it's time to evaluate whether or not virtual reality will really work. 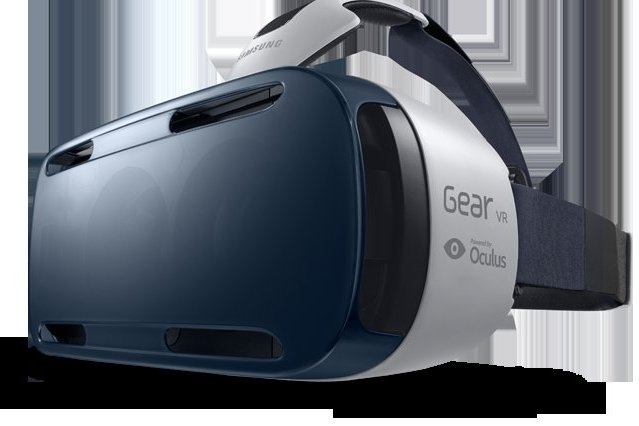 Virtual reality is an extremely popular trend right now among gamers and developers alike. It's easy to understand why. The Oculus Rift and PlayStation VR are both lucrative devices with attractive gimmicks and demos that could potentially expand gaming beyond you and your television, PC, or mobile device. But despite the fact that these devices have received nearly universal praise from critics and consumers alike, they're still treading some very dangerous waters from both a commercial and critical standpoint. Virtual reality is a space that's been explored several times throughout the history of the medium, but it's yet to establish a completely reliable or successful model that's viable for a mainstream audience. In fact, there are several factors even now that could spell virtual reality's doom before it even gets off the ground. Here are five reasons virtual reality could fail. When Microsoft's Kinect motion control peripheral launched, it quickly floundered as those who purchased it realized smaller apartments and homes weren't exactly ideal for the whopping 4.7 ft required for use. For a single user to clearly register with the peripheral's camera, they would have to utilize a very large area of their home. This simply didn't work for most users, and resulted in the Kinect's gathering dust or being sold back to retailers when it wouldn't track movements correctly in studio apartments or tiny living rooms. Virtual reality gaming is all about immersion, much like the Kinect, and while it requires a wired headset and controller to emulate the first-person experience, some games won't make use of a controller and may require real-world space in which you'll need to move around. Interfacing with in-game environments will be made difficult if you don't have the space to do it. For gamers with families and smaller dwellings or single players in tight spaces, this is going to be an issue, leading to a possible decline in sales for virtual reality units. When consoles that cost less than $300 are difficult to move and buyers balk at video games that cost upward of $60, it's difficult to see buyers happily trotting out over $350 for what Oculus Rift will consider a "complete" Rift system. Despite Oculus CEO Brandon Iribe's justification that the Oculus is priced like this so there will be "no compromises," this isn't reason enough for the layperson to venture forward that much hard-earned cash on what many will consider a niche. If either the Oculus Rift VR headset or PlayStation VR cost more than a video game console or small appliance, it's going to have difficulty attracting buyers. If the entry price doesn't turn consumers away, buyer's remorse could set in when gamers have had enough time to evaluate whether or not either system is right for them. Either way, when you consider the requirements for a decent VR experience (a worthy system and accessories) the price skyrockets even further. While quality would be less of a concern, frugality could win out. While the Oculus Rift and PlayStation VR are both exciting endeavors for both creators and players alike, it's still a new frontier. Some developers may be eager and champing at the bit to create for first-person, immersive experiences, but others may not be venturing forth into the unknown due to the risks that present themselves when working with niche content. For the same reason some publishers won't localize specific games, developers may decide to skip out on the Oculus or PlayStation VR. There are several exciting prospects out there currently for both systems, but the key to success for any console, peripheral, or gaming device is undoubtedly a winning catalogue of titles. If developers don't want to provide it or can't be convinced that the rewards outweigh the risks when working with content for a virtual landscape, the games won't come, and the devices will stop selling. For many, virtual reality is a weird, frightening prospect. It's an uncomfortable idea that takes some getting used to, and like 3D gaming (which many still view as useless gimmickry) it's not especially something general audiences are interested in exploring. While it makes sense for first-person shooter enthusiasts, game streamers, and other gamers to adopt VR tech, for more casual players it doesn't always sound appealing to have to strap a headset on and attempt to control a game without familiar, tactile buttons or a directional pad. No matter the level of realism that comes attached to a game that utilizes the Oculus Rift headset or similar hardware, there will be consumers who refuse to branch out and experience something decidedly alien to them. While technology has advanced to the point where both graphically and mechanically virtual reality gaming can come to fruition, it's not yet been perfected. It's still very much in its infancy, especially since developers are still finding ways to improve upon and further their own brands of headsets and equipment this close to a consumer release. In addition, many games are playable and believable, but often devoid of deep gameplay. There's still a disconnect between the user and the surroundings in-game, mostly due to the fact that we can't yet emulate some of the sensations you'd naturally be exposed to in real life with military shooters or even dating sims. With every game being made for virtual reality utilizing a first-person view out of necessity, there are challenges that arise when it comes to function and design. It's not yet obvious that current technology is up to the task.